I am currently a Postdoctoral Research Associate at the University of Manchester in the UK working on CIDAR, a EU Horizon 2020 project, where my job involves researching light transport algorithms for laser propagation in jet engine exhausts. This is primarily for the purpose of characterisation and visualization of particulate matter in order to make jet engines cleaner, which is an EU goal. I have only been working here for 2 months, but it has been exciting so far! As a child, I was exposed to technology quite early in my life. So, my first job, quite stereotypically for a programmer, was a freelance web developer job. I had to build a website for a small IT skills school based in Jamshedpur, India. I remember collecting my first paycheck and leaving immediately for a 50-hour train journey back home. I was excited to get back home and treat my parents to dinner but during the journey, the money was stolen from my bag! My mother offered to replace the money as I was quite distraught, but it taught me the painful, yet valuable lesson of looking after my belongings while travelling. I completed my undergraduate education at the National Institute of Technology in Jamshedpur, India. My first degree was in Metallurgical Engineering, quite distant from Computer Graphics and Visualisation. I then went on to complete my Masters and PhD from the University of Manchester, UK where I developed my love for Computer Graphics. I first got involved with ACM SIGGRAPH as a Student Volunteer at SIGGRAPH Asia at Macau in 2014. 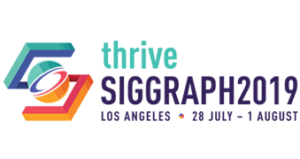 I was encouraged to apply to participate by my PhD mentor Martin Turner, who had started the SIGGRAPH chapter in Manchester. It was a fantastic experience for me as I could finally see the research I read about in papers with my own eyes. 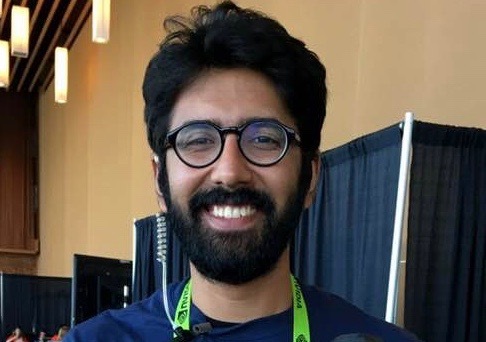 It was the start of my continued association with ACM SIGGRAPH, where I have had the privilege of being involved with the Student Volunteer Program in both Asia and North America since 2014. I also have been involved with the International Resources Committee (IRC), where I am part of the SIGGRAPH Spotlight and Audio Guides team. My favorite memories of SIGGRAPH are always meeting my friends and colleagues. As a student volunteer and a team leader, I've had the opportunity to meet and work so many different people exchanging ideas and cultures, which has changed my perspective of the world. This has made me a better person and I hope to continue to be involved with the conference to grow even further. My PhD project involved exploring the use of hair rendering in the cosmetics industry. Computer Graphics practitioners have used many theories from cosmetic science to build the state-of-the-art hair scattering models that we see in movies, games and media today. Through my project, I build a setup to test and evaluate CG renders of hair on realism and explore the effect of different physical characteristics on cosmetic properties. The setup was trialled in the labs of an industrial sponsor with positive results. I hope this will herald a change in the cosmetic industry with more simulations being used for product testing and evaluation that can replace lengthy physical lab testing. I would love to meet my grandmother, who passed away due to cancer a few years ago. My grandma was one of the nicest people I have met in my life and I don't think I spent enough time with her as a young adult to appreciate that. So it will be nice to sit down and have a chat about things. I don't think it is much of a secret to some, but I'm obsessed about climbing and the outdoors. It was the best way to completely dissociate myself from the stress during my PhD and it has become something that I can look forward to after a long day of work. I love setting goals and working towards them and each route in climbing is like solving a problem. The long term goal at the moment is to climb El Cap in Yosemite! My parents and my brother, as I can't single out one of them. My dad taught me perseverance, the ability to stay calm in the face of adversity and the importance of hard work. My mom taught me compassion, humility and how to stay cheerful despite things not going one's way. My brother taught me the importance of logic, reading and taking time to analyse a situation before jumping to conclusions. These lessons have helped me navigate most tricky situations in life and I wouldn't be the person I am today without them. Martin Turner. He was the one who alerted me to SIGGRAPH and the Student Volunteer Program. Nik Aberle was another person who encouraged me to take on more responsibility within the organisation. Passing my PhD was probably the proudest moment till date, but I feel that the proudest moment in my career is yet to come.